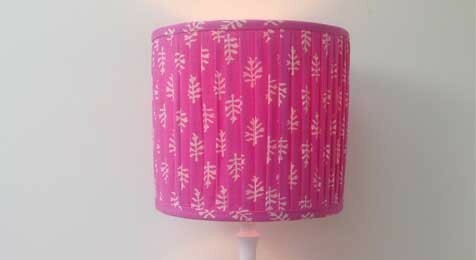 Handmade Lamp shades by 'Julia's Lampshades' are bespoke and unique. 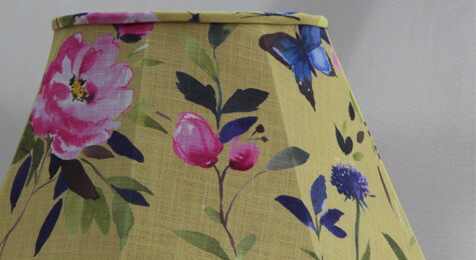 Julia is based in the English countryside, and is passionate about texture and colour, she can guide you on which lampshade frames will work best with a chosen fabric. 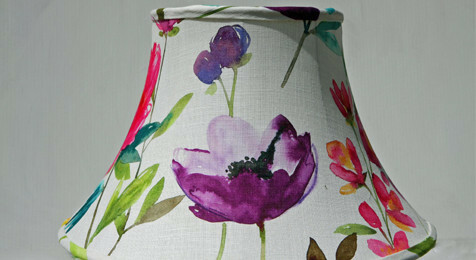 Her traditional service and attention to detail will help you create a wonderful look for your lounge, sitting room or bedroom. 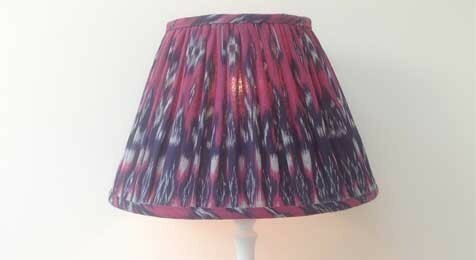 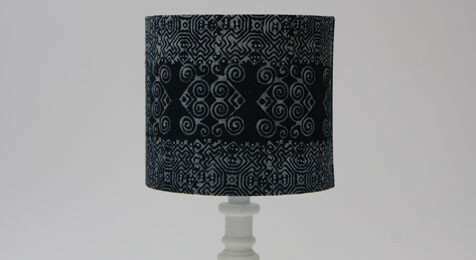 Indigo Blue Batik Curled pattern Drum Lampshade. 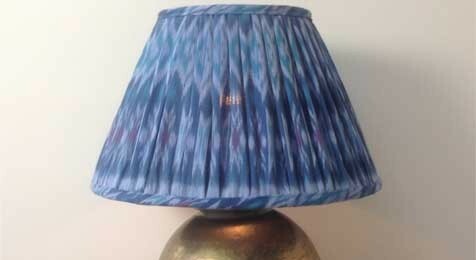 This handmade lampshade pictured is a 20 cm diameter and 18cm high. 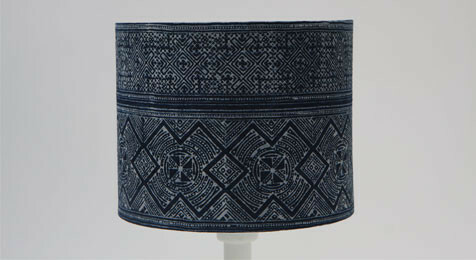 Indigo Shaded Blue Drum Lampshade, 25cm diameter by 21cm high. 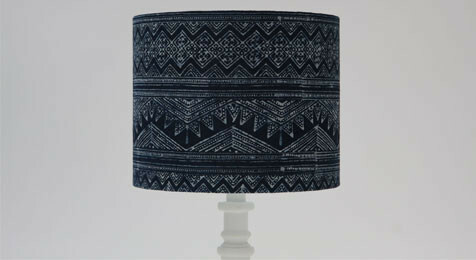 Kanti soft gathered Straight Empire lampshade. 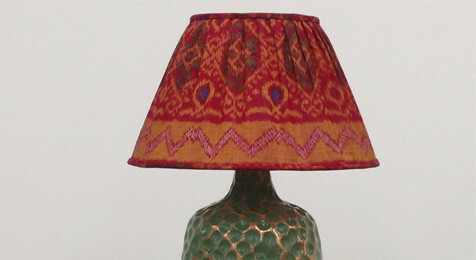 Made by Hand, the outer fabric is hand block printed and lined in silk. 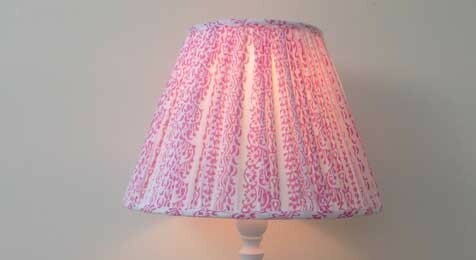 'Patta' Pencil Pleat Drum Lampshade, hand block printed cotton.Handmade by Julia's Lampshades in England. 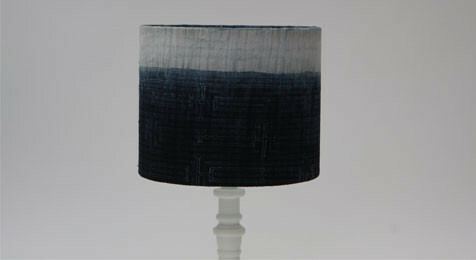 23cm wide x 21cm Height.